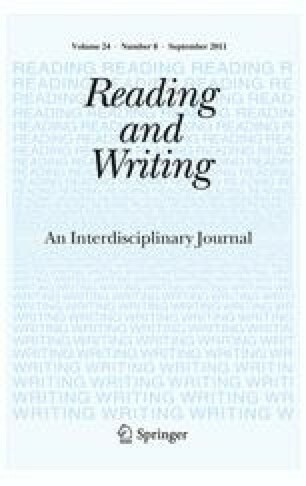 In this study, the socio-cultural variation in reading comprehension development was examined in 331 fifth graders from schools in Lima, Peru. Reading comprehension was measured using an adaptation of the PIRLS Reading Literacy test. The fifth graders’ reading comprehension results, measured over the course of fifth grade, were related to the development of word decoding, vocabulary, and motivation for reading. Children’s development in these domains was related to their gender, intellectual maturity, home literacy climate, and socio-economic status. Structural Equation Modelling showed that the development of reading comprehension was influenced by the children’s ability to decode words, their vocabulary, and reading motivation. Furthermore, gender and intellectual maturity as well as children’s home literacy climate and socio-economic status appeared to substantially predict reading comprehension development, directly or indirectly. More than half of the variance in reading comprehension by the end of the fifth grade could be explained based on these predictor variables. 1. How often do you read at home? 2. How often do you read the newspaper? 3. Do you have a subscription to a children’s magazine? 4. How many books do you have at home? 5. How many books do your parents have at home? 6. How often did your parents read to you when you were small? 7. How often do your parents read to you now? 8. How do your parents react to your reading? 9. Do you usually finish the books you read? 10. When you read at home, how long would you like to go on reading? 11. Do you have a quiet place at home where you can read? 12. When you are reading a book, how often do your parents ask you what it is about? 13. How often do you talk about a book you have read at home? 14. How often do you look up a word in a dictionary at home? 15. How often do you read aloud to someone else at home? 16. How often do you, or someone else in your family, tell a funny or interesting story without reading it from a book? 17. How often do you write a story yourself at home? 18. How often do you sing songs together at home? 19. How often do you visit the public library? 2. Does your father live at home with you? 3. Does your mother live at home with you? 4. Does somebody else live at home with you? (Uncle, aunt, cousin, grandparents…)? 5. How many people live in your house including you? 10. Does your father/guardian or mother use a bank account? 11. Do you have a fridge? 12. Do you have a washing machine? 13. Do you have a personal computer? 14. Do you have a fixed telephone line? 15. Do you have a garden (interior or exterior)?